Jobless claims, or layoffs, fell below 200,000 in early April for the first time since 1969 owing to an ultra-strong labor market. 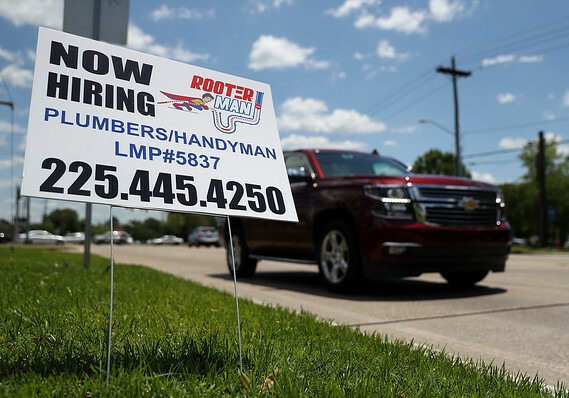 Big picture: Steady hiring, declining jobless claims, rising wages and the lowest unemployment rate in half a century are likely to help the U.S. economy endure a recent soft patch in growth. Most economists predict growth will pick up in the spring. What they are saying? : “Truly remarkable,” said chief economist Joshua Shapiro of MFR Inc.
Market reaction: The Dow Jones Industrial Average DJIA, -0.05% and S&P 500SPX, +0.00% rose slightly in Thursday trades. The 10-year Treasury yield TMUBMUSD10Y, -0.02% was unchanged at 2.50%. Yields are much lower compared to late last year, when they hit a seven-year high of 3.23%.